Historians believe Roman Numerals began as a tally system. 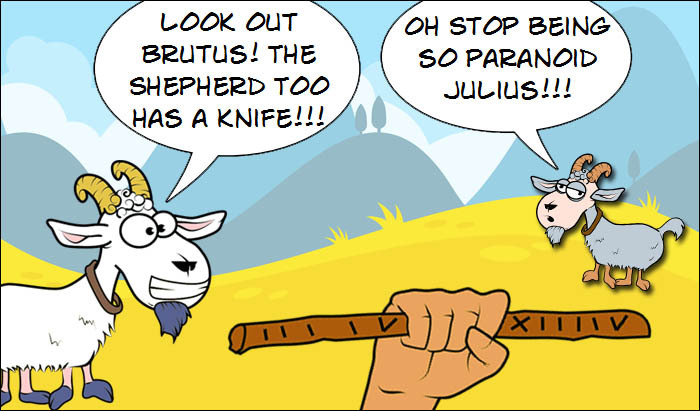 Shepherds on the hills and in the fields around Rome would cut marks into sticks to keep track of how many sheep or goats were in their care. Each animal was counted then recorded on a wooden stick with a single notch cut with a knife. Every fifth sheep was recorded on the stick with two notches which formed a V. Each tenth sheep was recorded with two cuts to form an X. This method of record keeping was still used by Italian shepherds during the Nineteenth Century.